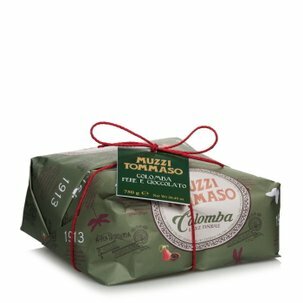 The Black Cherry Colomba by Tommaso Muzzi: a wonderfully sweet way to celebrate Easter! 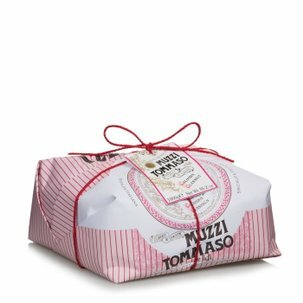 This Umbrian company has been making high quality artisan products for over half a century, including this delicious, soft yeast cake. It comes in a smaller size and is ideal for a trip out of town! The Muzzi black cherry colomba is made from the highest quality raw materials. These include the choicest cherries, fresh eggs, and excellent butter made from local milk. 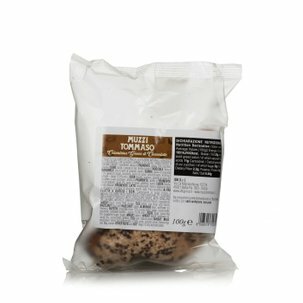 The product is hand wrapped in beautiful packaging. 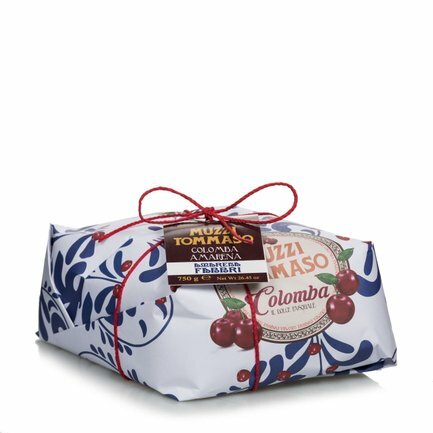 The black cherry colomba is a way to finish Easter lunch with a flourish. To fully appreciate its soft, delicate flavour, it is best accompanied by a good quality sparkling wine. Ingredients wheat flour, candied black cherries 16% (black cherries, sugar, glucose syrup, water acid, citric acid, black cherry, juice concentrate, natural colouring. anthocyanins, flavourings) butter. icing 11% (sugar, egg white, rice flour and rice starch, hazelnut paste, almonds flour, suntlower oil, flavours), eggs, sugar, sugar grains, egg yolk, natural yeast (wheat) milk almonds emulsifiers: mono and diglycerides of fatty acids, flavourings, salt. May contains other nuts and soy. Can contain kernels or kernels fragments. For more information on product labels, please contact our Customer Service department. The information on the labels of the products may vary for reasons beyond our control, therefore, there may be discrepancies between the information on the site and that on the products delivered. Please always check the information on the product before consumption or use.